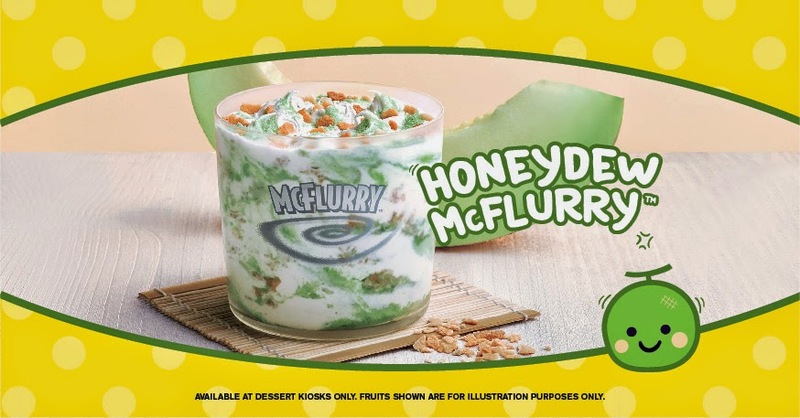 McDonald's Singapore quietly launched the Honeydew McFlurry only at Dessert Kiosk around the island sometime at end of October. 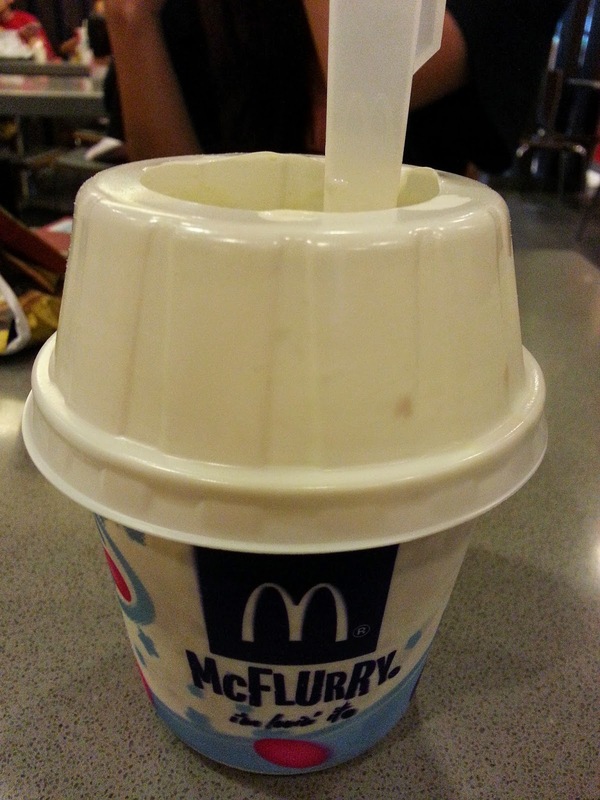 This replaced the Sakura McFlurry, which was not only available at the kiosks, but the main ordering counters as well. 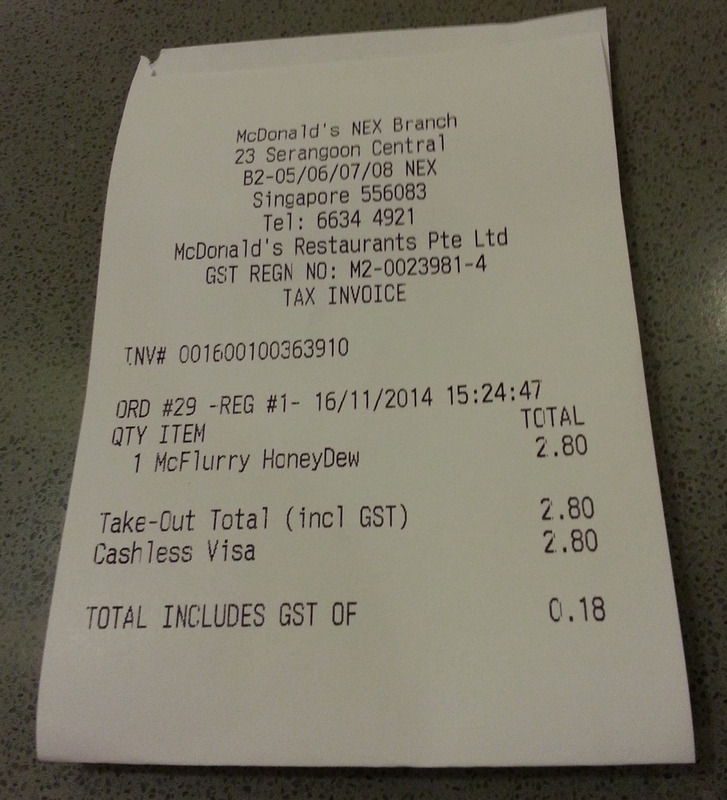 Since we had a couple trips lined up at the beginning of November, I held off trying this McFlurry for a couple weeks. Let me start by saying I'm colourblind, and after I took my first bite of this McFlurry I mentioned to my wife that I was surprised that they had flavoured the ice cream without pouring some bright green melon flavoured syrup over it, or simply dyeing it green. She let out a sigh (which I usually get when I make a mistake about colours), and she said that it was indeed green colour. 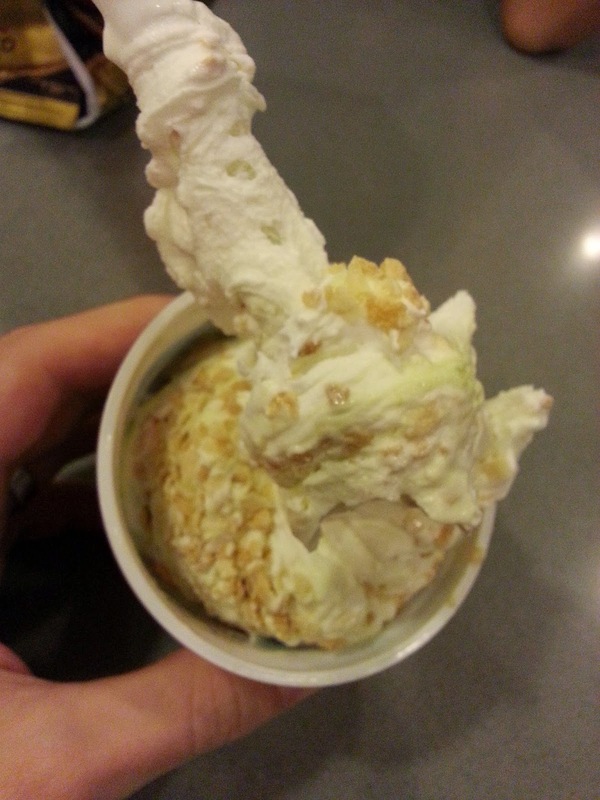 I still can't tell from the photos I have, but the ice cream certainly looks white to me. Regardless if the ice cream was green or not, it did indeed have a distinct melon flavour to it. If you've ever had melon candies, or the famous Korean ice cream Melona, then you know the exact flavour of melon this had. Since it's made with milk, it was creamier than other melon flavoured sweets I've had before, but I particularly liked that take on it. 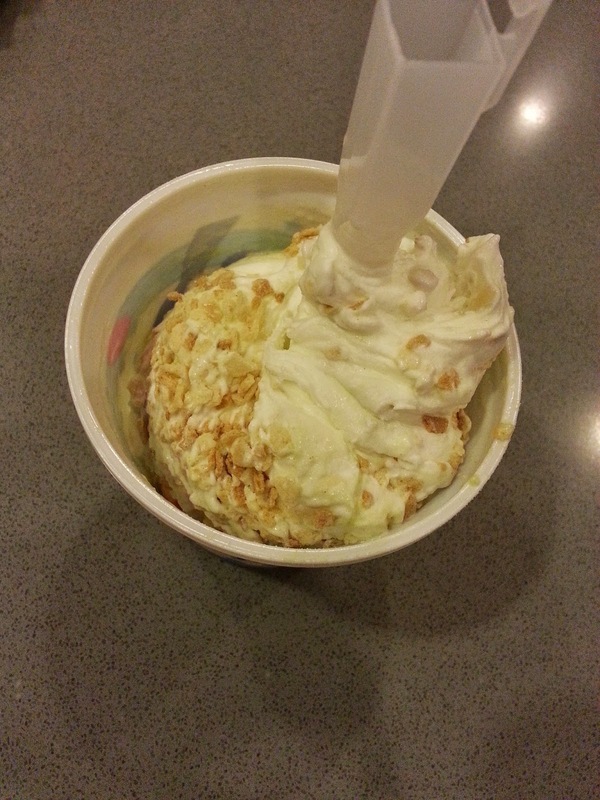 Like other Singaporean McFlurries, the other topping was simply crushed up cone pieces, but these didn't taste like they simply broke up the stale cones this time around, as they were crunchier than the last few I've had. Since there was a lack of syrup, this was one of the better fruit McFlurry flavours I've had in recent memory. It was sweet like ice cream should be, but not overly artificially flavoured syrup sweet. I also liked that since there wasn't a large pool of liquid poured on the top of the ice cream for flavour, it allowed the cream to keep its texture for longer than it normally would (which isn't all that long here in Singapore's heat). I could see this flavour working very well as a regular menu flavour in Korea and Japan, in fact, I'm surprised it hasn't been released there previously. The ice cream certainly looks basically white/cream coloured to me, with maybe a very slight pale green tinge in places. this was horrible for me. 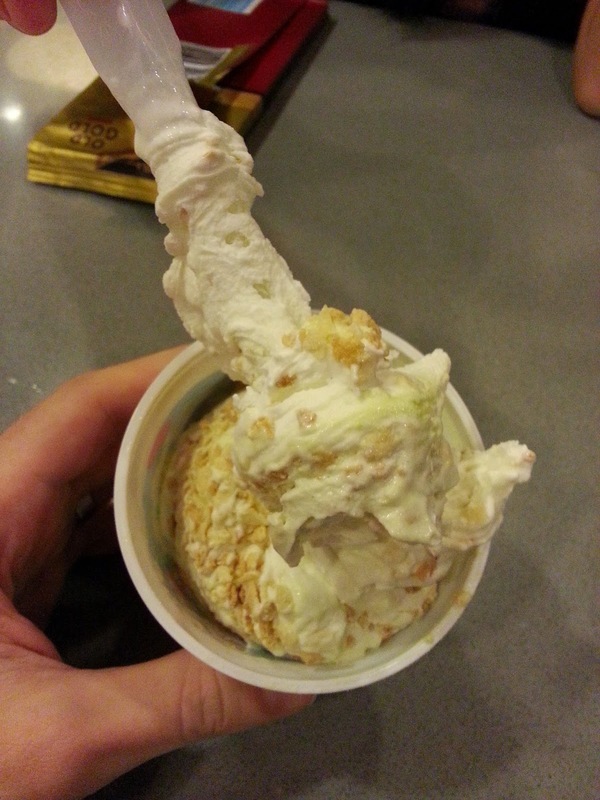 Tasted like they just simply dumped honeydew powder (used in cheap bubble tea shops) into the ice cream. it was stale and too dry.